Curator and filmmaker Miranda Javid will be in attendance to present and discuss this program! 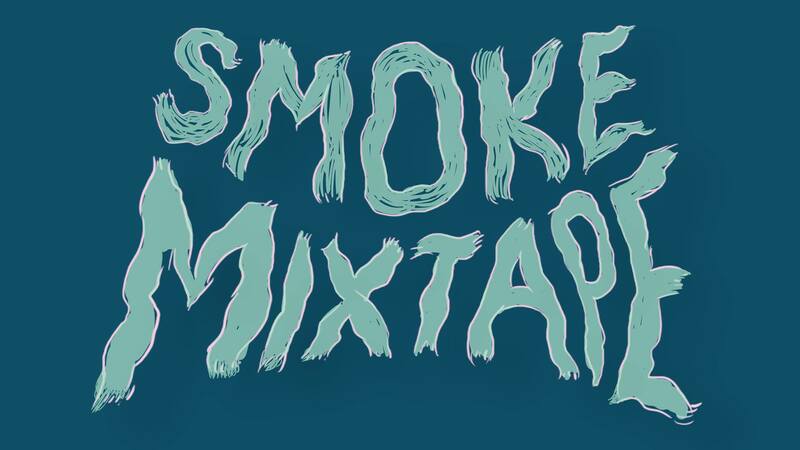 Smoke Mixtape is a collection of videos, excerpts, and sounds that focus on the amorphous and ephemeral qualities of being a body in contemporary society. Not quite a film series, the block follows the principle of that ancient communiqué by underscoring minor elements of the featured works through editing and juxtaposition. Several of the most recent pieces were created in response to the prompt, specifically for the purpose of the mixtape. The lineup includes sound-pieces, interviews, and live action, with a strong emphasis on animation. Inspired by Post-Humanist theory, the series asks: can we truly know unfamiliar bodies? Carmina Escobar • Gustav Deutsch • Mary Beams • Jamila Reddy • Rosa Aiello • Austin Vaughn • Daniel Rowe • Lilli Carré • Vincent Lynen • Esther Leslie • Sasha Bergstrom Katz • Max Guy • Dad Pranks Collective …and a few other surprises.